Great opportunity! This home has great bones and is ready for your updates and personal touches. Priced for your sweat equity efforts! Huge potential for those who don't mind a little work. 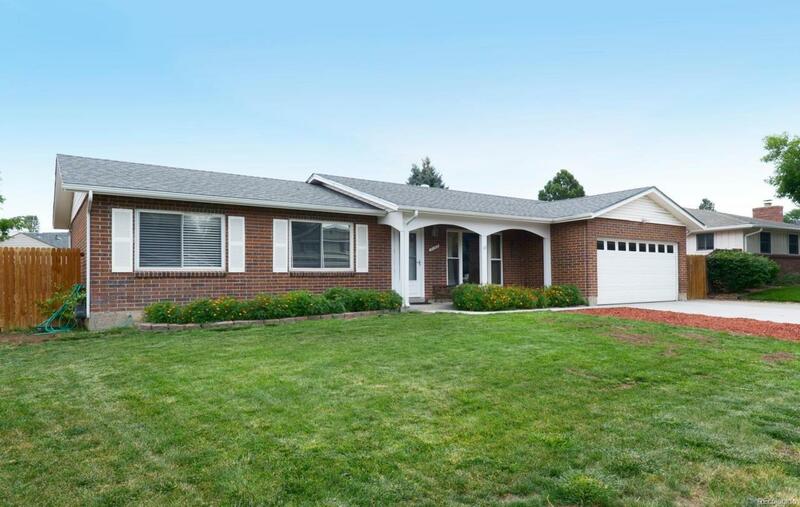 Ranch style 5 bed/2 bath home is located in the highly sought after Southglenn neighborhood. The living room has laminate wood floors and lots of natural light with a large picture window overlooking the covered front porch. The kitchen is adjacent to the family room and back yard for easy entertaining! All the bedrooms are nice sized and bright! The finished basement offers another bedroom and tons of storage! The backyard has a large, colored concrete patio with two natural gas fire pits, a storage shed, plenty of room for gardening and lots of room for RV storage. Walking distance to The Streets of Southglenn and Snooze Eatery. Conveniently located to shopping, restaurants, award winning schools, Highline Canal trails, Southglenn Country Club, and major traffic ways. Wonderful area to call home!